L+M has worked as an employment partner with the Posse Foundation, a college access and career-pathing organization, for many years, and has hired nineteen Posse Scholars as interns and employees. In September 2016, Jayda Shanks, a Posse alum, celebrated her fifth anniversary at L+M. As part L+M’s Milestone Giving Program which allows employees to direct dollars to charities of their choosing in celebration of the employees’ milestone anniversaries with the Company, Jayda directed her donation to the Posse Foundation. The Posse Foundation was founded to not only help New York public school students prep for college, but also help facilitate a community for those students at colleges across the country. Posse identifies public school students with high academic and leadership potential that may be otherwise overlooked by colleges and universities, and provides access to college education with full tuition, four-year scholarships. Jayda Shanks was nominated for the scholarship by her high school guidance counselor, and following a long interview process, she was selected to go to Babson College in Wellesley, Massachusetts, joining a group of eleven students. Jayda explains, “Once awarded, Posse scholars start pre-collegiate training and meet weekly to establish a relationship with the other students we will be going to college with. We organically create a community and support system for each other by the time we arrive on campus.” When Jayda arrived at Babson College in Massachusetts, her posse came together. During college, the Posse Foundation also helped scholars connect to internships, and then after graduation, their career program management teams steps in. “The Career Adviser spoke to us regularly so as to get to know us better and best advise on what we should do next. This was how L+M got on her [the Adviser’s] radar,” said Jayda. At that time, L+M was just becoming a Posse Career Partner and knowing of Jayda’s interest in real estate, her Adviser encouraged her to apply for a job. “Posse provides support beyond the financial. If it wasn’t for Posse, I wouldn’t even know that this type of project management work could be done. I wouldn’t know of L+M,” she said. 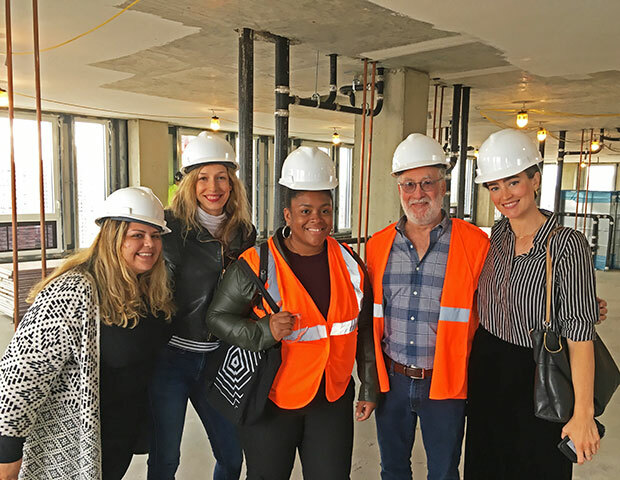 Today, Jayda is Project Manager working on Essex Crossing, one of the biggest development projects within L+M’s portfolio. So, five years later, when it came time to decide where to give back as part of L+M’s Milestone Giving campaign Jayda decided to route her donation to the Posse Foundation. Posse’s university partners award about 150 scholarships to high school seniors each year from New York alone, with chapters in nine other cities. Today, it boasts over 7,000 alumni. To learn more about the organization, visit possefoundation.org.